Of course Subaru brought a dash cam along. Subaru still isn’t done bragging about its mighty WRX STI Type RA NBR Special. Fair enough. It’s only proven itself to be one of the fastest cars ever around the Nurburgring. If you recall, the not for production WRX STI Type RA NBR Special set a record ‘Ring lap time of 6:58.9 (just a half second slower than the Porsche 918 Spyder) not long ago, driven under the precise guidance of racer Richie Stanaway. Yes, its 2.0-liter Boxer four remained, only this one was tuned to 600 hp thanks to a new intake and an additional 25 psi of boost. 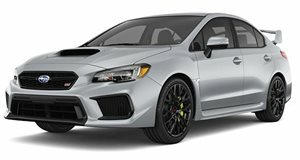 Prodrive actually built the car, which started off as a 2017 WRX STI. Only this one was given a full roll cage, WRC-spec sequential transmission, 9-inch-wide tires, additional aero, and a complete strip-down. This resulted in a top speed of 179 mph at the ‘Ring. And now Subaru has released the dash cam footage of the big day at the Green Hell. A "Behind the Scenes" video was previously released, just so you don’t get confused. To put into some further perspective of just how fast this Subbie went, the recent privateer attempt to set a ‘Ring record in a Dodge Viper ACR couldn’t do better than 7:01.3.